Meet the stars of Series 2 - Crossrail . For information about the Elizabeth line please visit the Transport for London website. BBC TWO’s The Fifteen Billion Pound Railway returned for a second series in May 2017 to follow the construction of the Elizabeth line under London. Crossrail provided exclusive access to the BBC’s producers Windfall Films over two years as construction of the railway progressed under London. They witnessed the engineering challenges and key milestones including the completion of tunnelling, station construction and installation of the railway’s permanent track. Visit bbc.co.uk/crossrail for more information about the programme. Linda joined Crossrail in 2010, with over 20 years' construction experience under her belt. 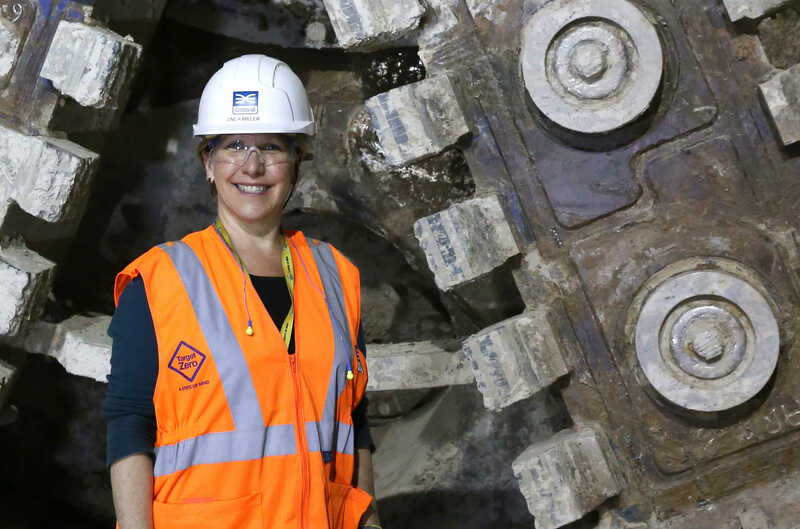 After renovating the 130-year-old Victorian Connaught Tunnel to create space for the new Elizabeth line trains, Linda took the reins at Farringdon station and has overseen construction of the railway's longest station right at the centre of the route. This is not Linda’s first time in front of the documentary cameras. As well as starring in the first series of the Fifteen Billion Pound Railway, Linda featured in a US Public Broadcasting System (PBS) documentary while working on the Boston Central Artery, a 161 mile road and tunnel project back in her native America. Linda moved to the other side of the world in March 2017 to help build the Sydney Metro project. With over 20 years’ experience designing and building railways and stations, Andy takes the job of building the grand entrance to the Elizabeth line’s central hub in his stride. 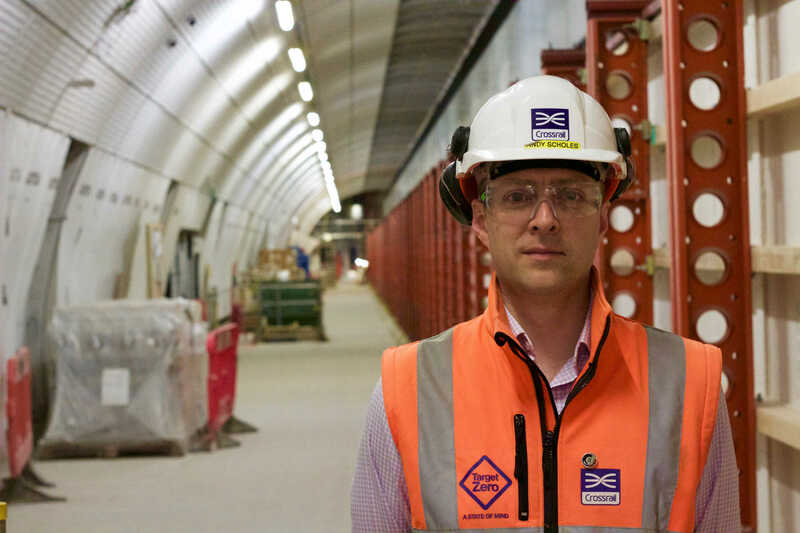 Andy has been involved at Farringdon for almost eight years – initially scrutinising the design of the station before joining Crossrail’s Delivery Partner Bechtel shortly after construction began in 2010. Before then Andy has helped make Waterloo station step-free, and worked on station improvements across London and the south-east. Andy is hoping his latest TV appearance is more successful than his first, after being knocked out in the first round of 80s TV show Crush a Grape with Stu Francis. 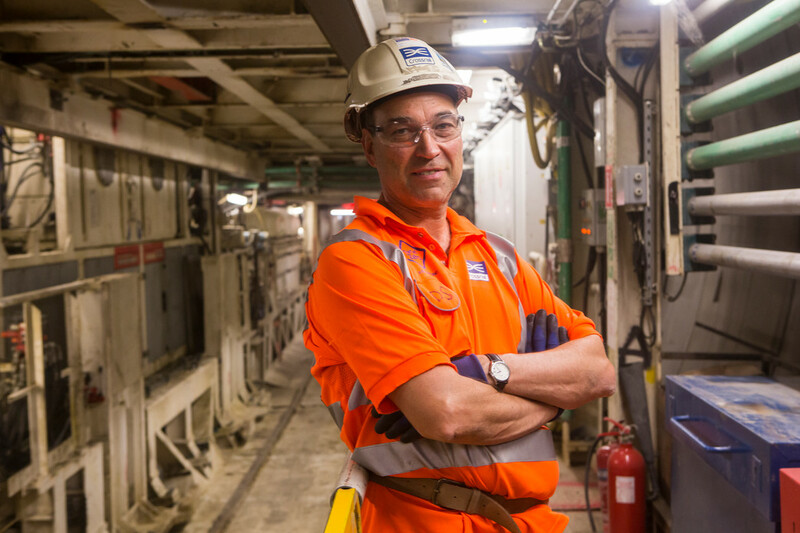 With no less than 70,000 sleepers and five different types of track that need to be laid to transform the tunnels into a world class railway, overseeing these complex installations for the western section of the railway is no small feat for Gregg Purcell. 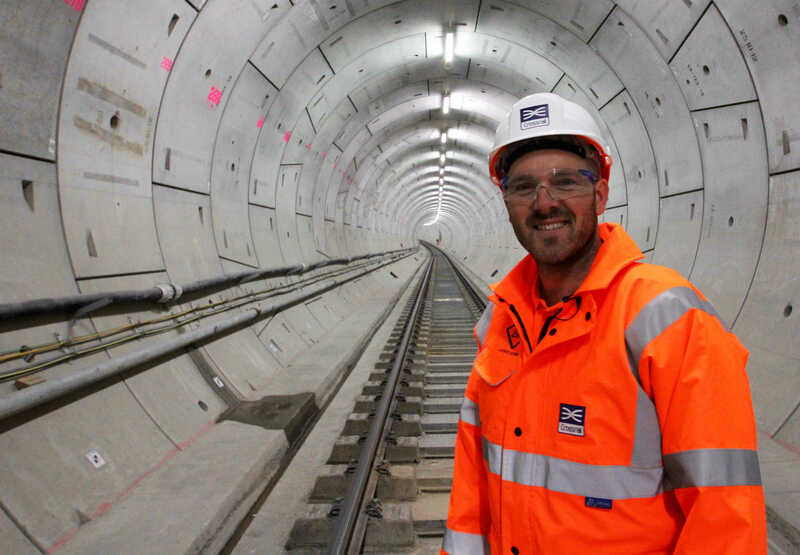 Gregg has well over 15 years of experience under his engineering belt and joined the Crossrail project as a site manager at Whitechapel station in 2011. He was inspired to build his career in tunnelling back in his early teens after watching a TV documentary following the extension of London Underground’s Jubilee line. Since then, Gregg has worked on several iconic mega-projects like the Channel Tunnel Rail Link and rail improvements in the Stratford area in preparation for London 2012. It looks like his documentary interest has come full circle with this starring role as he may now be the inspiration for the next generation of civil engineers to come. From power stations to oil rigs, motorways and tramways to iconic bridges and railway stations; you name it, Jim’s built it. Whitechapel station is one of the most complex builds of the Crossrail project. For Jim Forrest it’s another opportunity to work with the construction industry’s finest. 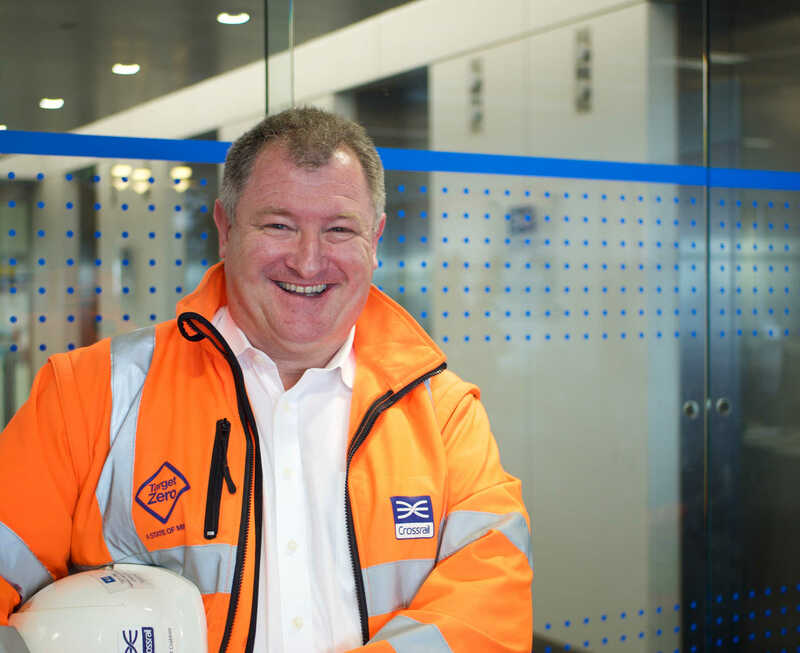 Jim Forrest has been site manager on the Crossrail project at Whitechapel station since 2009. With a career spanning over 50 years, his endless enthusiasm and high standards have travelled the nation several times over since he left the army in 1960. There’s no better person than Jim to make sure it’s met. Dave is currently site manager at the new Crossrail Paddington Station, and is supporting the completion of the main civils works at this dramatic Crossrail location. With millions of daily visitors using Oxford Street - one of the world’s busiest shopping areas, there are few builds that are more challenging than the one which construction manager David Crabtree is in charge of. Tottenham Court Road will be one of the new railway’s busiest stations. David began his career in civil engineering in the 1980s. Since then he’s worked on many high profile projects around the capital and beyond such as the Jubilee Line Extension at Westminster, the Gherkin and the new Home Office building, before he joined the Crossrail project in 2012. 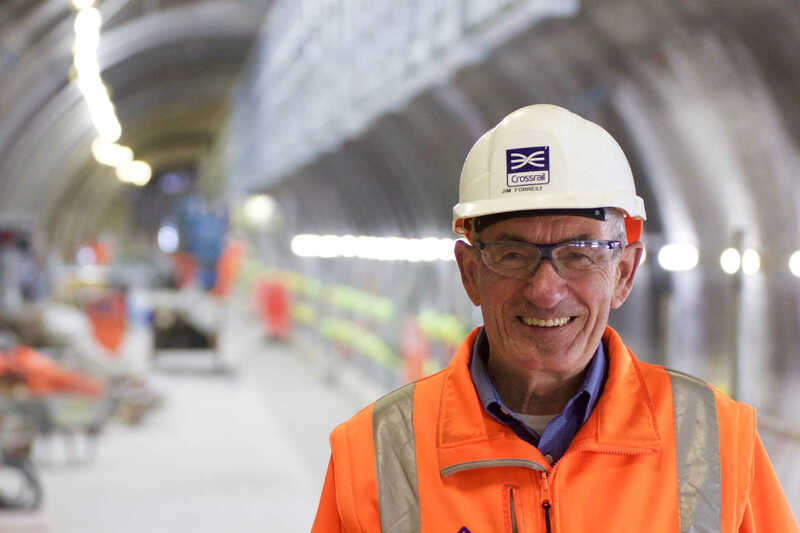 He says he’s hugely proud to “be part of the team that achieves the impossible” and that working on the Crossrail project is a career highlight that will be hard to beat. With over 100 years of railway engineering experience in the family, Kane came into the rail industry as an Apprentice in 2008 at Bombardier Transportation in Derby - following in the footsteps of his father (pictured above, left), grandfather and great grandfather before him. Since then he has undertaken a number of roles, delivering new trains for the Circle, District, Hammersmith & City, Metropolitan and Victoria lines, gaining a wealth of experience that will be crucial in his current role of Production Manager, responsible for delivering the fleet of 66 new trains for the Elizabeth line. 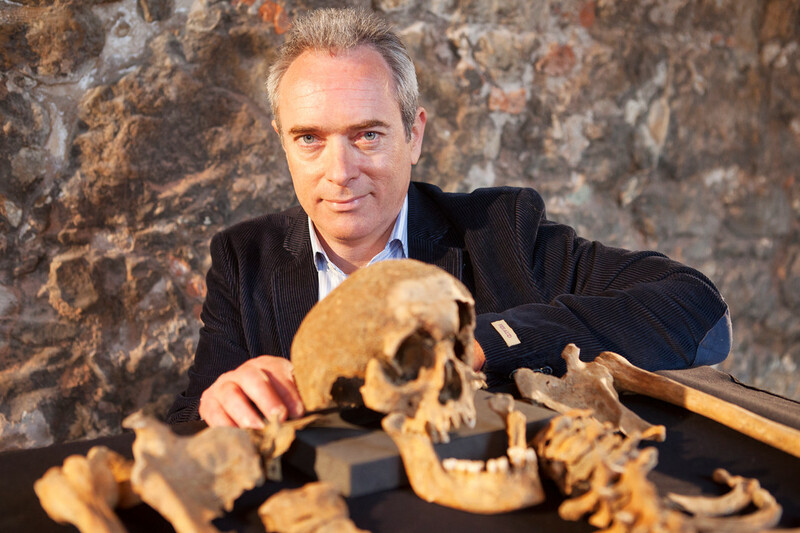 Kane said: "I’ve been following the Crossrail project with great interest for a number of years now and thought the first series of the documentary was absolutely fantastic. "To be given the opportunity to feature in the second series and to help show all the hard work from all involved start to come together on a project of this scale is a great privilege. I hope each and every Elizabeth line passenger enjoys using these new trains just as much as the team in Derby are enjoying producing them." Shaping the new railway’s look and feel beyond the bricks and mortar, is the monumental job of Jon Hunter and his team. Jon has been leading the design team at TfL for more than seven years and has been involved with plans for the new Elizabeth line trains since 2011 - when the initial rolling stock concept was developed. He has worked tirelessly to ensure that the new trains will be comfortable, spacious and fit for purpose - with the overall passenger experience at the heart of every design decision that has been made. 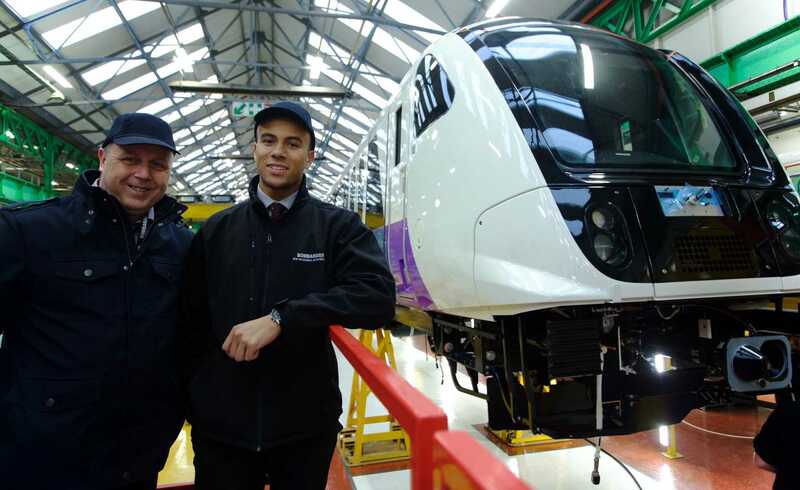 He said “The first time I saw the test vehicle in the train facility in Derby – it was unpainted but it still looked magnificent and ready to deliver a lifetime of service to London and the wider south east. “It’s the sheer scale of this project and the transformative effects that will be delivered for London and the UK as a whole, that inspire me each day.